Group therapy is a daily part of drug and alcohol addiction treatment in most programs. At Discovery Institute of New Jersey, we provide different kinds of group therapy each day to make sure our clients have a well-rounded, complete approach to their care. No two sessions are ever alike, but our clients will be with the same therapists and peers to establish a sense of trust, respect, belonging and support. 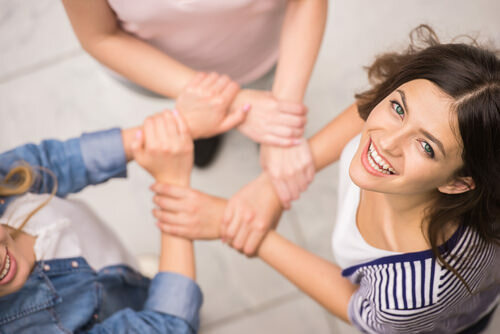 Our goal is to foster a healthy group dynamic that supports the recovery journey of each individual involved through collaboration, sharing, feedback, and positive emotional interaction. Providing support. Experiencing emotional distress such as anxiety or depression can be a scary and lonely experience. Being able to process these feelings in a group setting with other patients who can relate to these feelings de-stigmatizes them and normalizes them, allowing the patient to accept their feelings and process them in a productive and healthy way. Encouragement. Being able to hear about how other patients overcame struggles or coped with difficult emotions can encourage patients to face their own problems head on. Promotes the development of healthy social skills. Many addicts and alcoholics are unable to function normally in social environments, whether at work, school, at home, or with friends, because substances damage our ability to relate to others. By allowing patients to interact with one another, process emotions together, and give each other constructive feedback, group therapy helps them to develop these vital skills. Learning how to function in a group setting is an important part of re-orienting oneself within society, and these skills help patients to function and build relationships in “the real world” once they leave treatment. Reduces isolation. Group therapy may be the first opportunity many of our patients have had in a long time to relate to others and build relationships. This promotes self-esteem and healthy communication skills. Teaches patients to give back. In addition to processing their own emotions and receiving feedback from both counselors and peers, patients have opportunities in group therapy to give feedback and help others. These opportunities help promote self-esteem and other-centeredness, two important qualities of long-term recovery from drugs and alcohol. Art therapy- art can be calming and healing. Creating painting, sculptures, and drawings is a great way to calm down and to express emotion in a nonverbal way. Processing groups- these groups allow patients to navigate complex, sometimes painful emotions regarding traumatic events in a healthy, supportive atmosphere. Fitness classes like yoga and light exercise- these groups promote holistic health and caring for one’s physical well-being, an important skill for a fulfilled, well-rounded life outside of treatment. Meditation groups- creating a sense of inner peace is vital to recovery. Meditation groups allow patients to practice this skill under the guidance of experienced counselors. Each of these groups is specifically designed to address a component of addiction treatment, from physical health to mental well-being. Patients who participate in these groups will have an opportunity to address their addictions among their peers in a healthy, supportive environment that promotes recovery. Every group at the Discovery Institute of New Jersey has been developed with the goal of helping patients learn how to function normally in their daily lives once they successfully graduate from treatment. Depending on your treatment track, you may be introduced to different therapeutic groups than some of your peers. At Discovery Institute of New Jersey, we are focused on helping each client individually. Because of our individualized, unique approach to treatment for each of our clients, depending upon your needs, some groups may be suggested while others may be mandatory. We aim to take provide our patients with a well-rounded approach to treatment in order to meet all of their needs, so your daily agenda of groups may differ slightly depending upon these specific needs. Group therapy takes place daily, and much of the clinical portion of the day is dedicated to group-style therapeutic methods. In group therapy, clients are among their peers, and are able discuss topics relevant to addiction and recovery in order to process emotions and heal. Each group is facilitated by a licensed, experienced therapist who is trained in assessing group dynamics and fostering healthy communication. This is to ensure that patients get the most benefit out of each group therapy session that they attend. At Discovery Institute of New Jersey, we prioritize individual treatment, but we also understand that recovery isn’t possible without support and help. That’s why we tailor our program to meet the needs of each individual patient who enters our program, and provide therapeutic groups that help patients to learn to recover together.